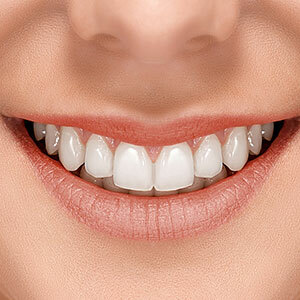 Find out what your oral symptoms are trying to tell you about the health of your smile. You are dealing with dental pain, but you just want to ignore it. Do you? Well, if you value the health of your smile then you absolutely shouldn’t just ignore a toothache. Our Tampa, FL, periodontist Dr. Maria Torres and endodontist Dr. Alberto Ruiz are here to tell you what might be causing your toothache and why you might just need root canal therapy. What are the indicators that you might need root canal therapy? Sure, it’s not always possible to know whether or not you need a root canal, which is why everyone can benefit from visiting their Tampa, FL, dentist every six months for routine care. These routine visits aren’t just meant for people dealing with dental issues. Besides getting a thorough dental cleaning we can also pinpoint problems that you may not even know are happening. Of course, some people do experience symptoms and it’s important that you know what to look out for if these symptoms do surface since you’ll need to seek dental treatment right away. The first telltale sign that something is wrong is a toothache. Now, if you experience a toothache you may immediately think to call us. This is the right decision! Of course, some people hope that their dental pain will just go away by itself. This rarely happens. A toothache is usually a warning of decay, trauma or an infection that has reached the dental pulp (a structure within the tooth). Once the pulp has been damaged in any way it needs to be extracted in order to preserve the structure of the tooth. If a toothache is ignored this can lead to tooth loss or even bone loss. Besides dental pain, you may also notice sensitivity in the tooth. This sensitivity will often appear when you eat or drink anything that is hot or cold. So, if the next time you take a sip of a steaming cup of coffee or bite into an ice cream cone and your tooth starts to retaliate, this is certainly something to look into right away. While a toothache or tooth sensitivity don’t necessarily mean that you’ll need a root canal, it is possible and will require a checkup. Don’t let a toothache wreak havoc on your oral health. Turn to the endodontic and periodontic experts in Tampa, FL. Call Endodontics & Periodontics Associates of Tampa Bay right away to get the proper emergency care you need.